Brings good wine in the next year. St. Matthew’s Day comes with or near the autumnal equinox each year, and this year, that moment of balance arrives tonight on the 22nd of September: Here in Lake Worth, which is currently in Eastern Daylight Time, we enter autumn at 9:54 PM. With it, day and night are in balance, and the sun, for a few days now and a few to come, is pretty much rising due east and setting due west. But after this, the days in the Northern Hemisphere will be shorter than the nights. With our planet in balance, it would seem a good time to seek balance in our own lives, as well. Whatever that means for you, this is what I wish you. For me, I know it means balancing the time I give away with the time I need myself so that all the things that are important to me receive their fair share and that I take the time to enjoy the things of this world––especially in the season I call my favorite, filled as it is with the beauty and abundance of gifts from the earth. And so, a good autumn to us all. 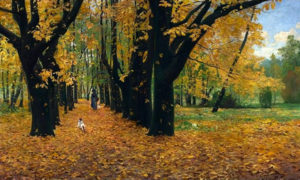 Image: “Park in Autumn“ by Michał Gortskin-Wywíorski. Oil on canvas, circa 1900 [Public domain] via Wikimedia Commons. I know, the weather’s been odd. Snow’s been falling snow on snow in much of the country all this month. Here in Lake Worth, where we had a warm February, the nights this March have been cool, and our first day of spring will be a day of swing: It’s forecast to reach the upper 90s this afternoon (wha?) and then drop down to 62 tonight. But March is like this: all over the place. We know this. 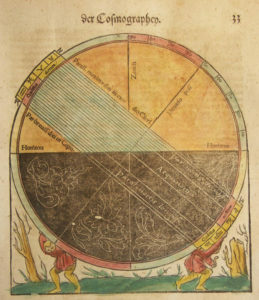 One thing is certain, however: the almanac brings us today the first day of spring in the Northern Hemisphere. 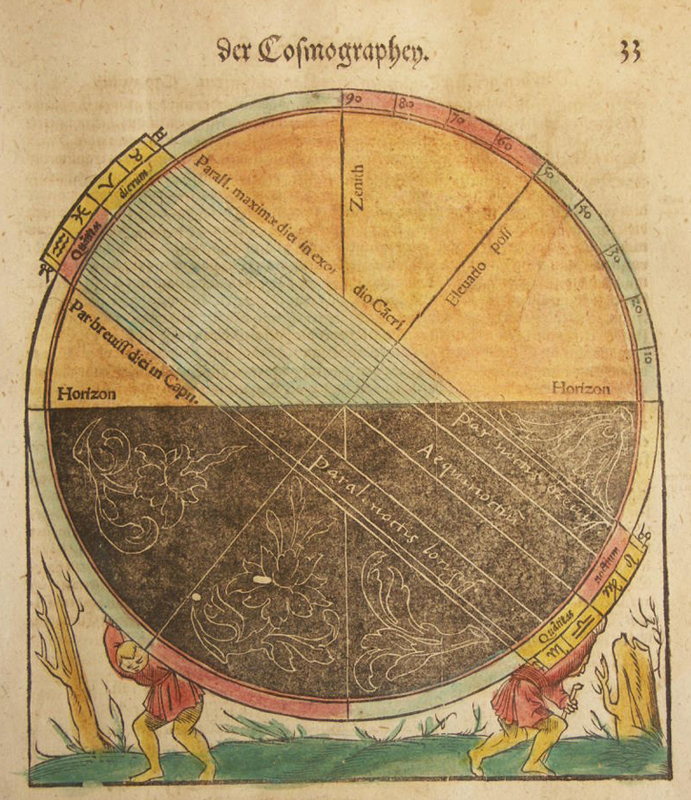 It is a time of balance, the equinox is, even if the weather does not seem to agree, and twice a year we experience a period of general equality of sunlight across the planet. Come tomorrow, the Northern Hemisphere will be a day closer to summer, the Southern Hemisphere a day closer to winter. But for today, balance and equality. If some measure of precision is important to you, the equinox arrives here in Lake Worth at 12:15 in the afternoon. That’s Eastern Daylight Time, “Daylight” because we’ve just last week set our clocks ahead by an hour. There is a movement afoot in the State Legislature here in the Sunshine State to keep us Floridians perpetually in Daylight Saving Time, and I am not so sure how I feel about that. It’s funny how our representatives can’t get anything done about more important matters, and yet there was an almost universal agreement that it is a good idea to rob us of an hour of daylight in the morning by sticking it on to our evenings all year long. All in all, I am more of a roundabout sort of guy, not very precision-oriented. So when you get right down to it, it doesn’t matter all that much to me. But I do know that when I was in high school, classes started at 7 AM, and it was tough enough getting to school on time without it being dark out. If anything, I’d be more inclined to keeping us all in Standard Time. But wait. (How did we get here? This whole concept of time and its measurement and the tools we’ve invented with which to do so––and then we get folks like Albert Eintstein telling us we can go backwards in time if we travel fast enough––well, all of these things perplex me and make my head hurt.) Let’s return to spring. 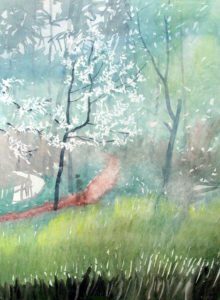 When I lived in Alabama, learning how to print and make paper and bind books, eating barbecue served with sliced white bread once a week and occasional gifts of Hamburger Pie from the neighbors, there was one season I particularly loved: Spring. The trees erupted each spring with flowers blooming like nothing I had ever seen growing up in Florida. They bloomed and when they did it was like snow was falling, except the sun was warm on my skin and the petals drifted passed my shoulder in slow motion from the trees to the ground. I remember white blossoms, in particular, and pink ones, too. Spring in Alabama was so beautiful. It arrives there today by the almanac and everywhere in this great hemisphere as our warm and gentle summer season approaches, one day closer now in our planet’s yearly circle round the sun. May your springtide be just as beautiful. I’m sorry, things have been hectic, and I missed writing to you for St. Patrick’s Day on Saturday and for San Giuseppe, St. Joseph’s Day, yesterday. I hope you had cabbage and I hope you had zeppole. We did. Easter is fast on the approach and we have some really wonderful new things in the Convivio Book of Days Catalog for Spring, all of them traditional handicrafts from Europe. There are a whole bunch of new designs of our handmade paper maché egg containers from Germany, new hand painted pysanky from Ukraine and from Poland, and more. Take a peak, won’t you? Spend $50 on these items (or anything in the catalog), and we’ll ship your domestic order to you via US Priority Mail for free. How great is that? Image: “Čeština: Jaro” (or, in English, “Spring”) by Eduard Tomek. 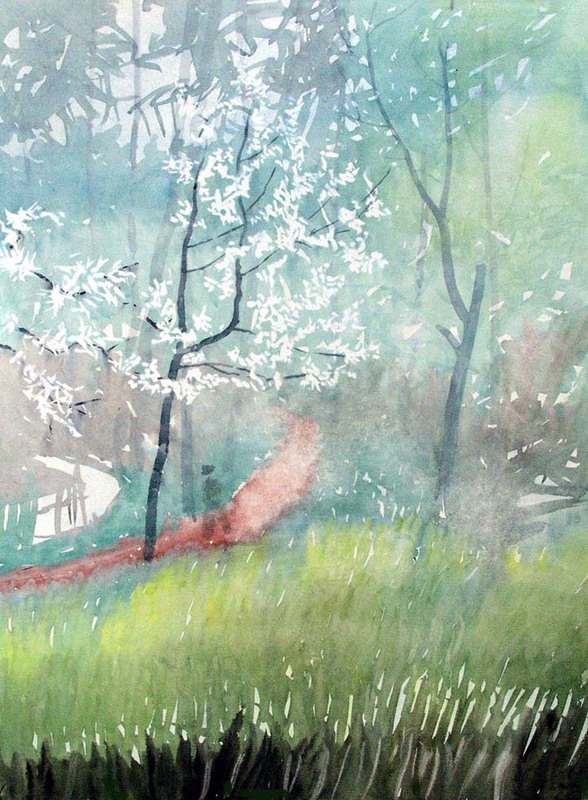 Watercolor on paper, 1958 [Creative Commons] via Wikimedia Commons.